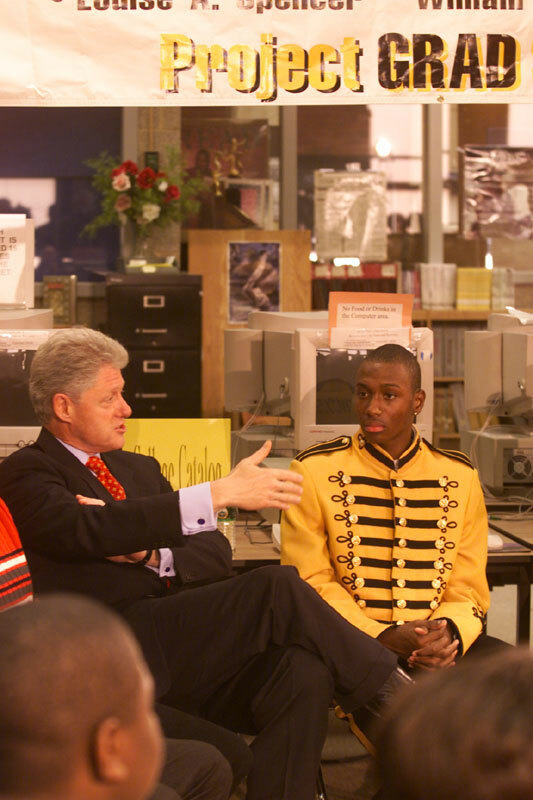 The President meets with Project GRAD students at Malcolm X Shabazz High School. 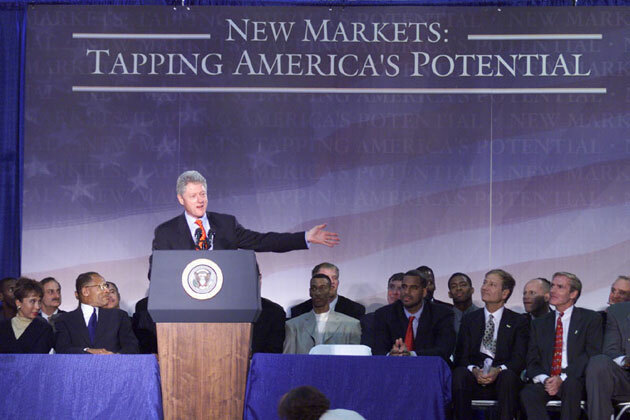 The President makes remarks to the people of Newark, NJ, from the gymnasium of Malcolm X Shabazz High School. 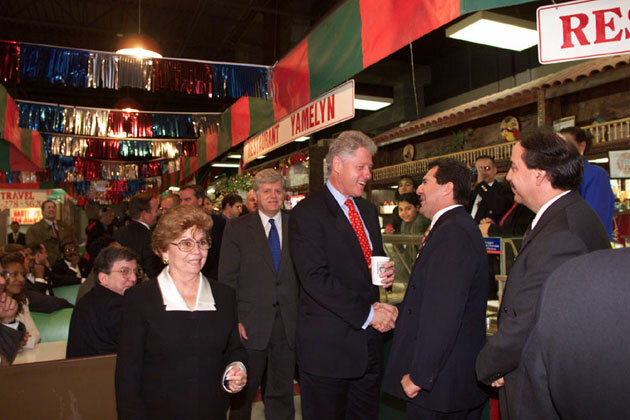 The President tours Hartford's El Mercado. 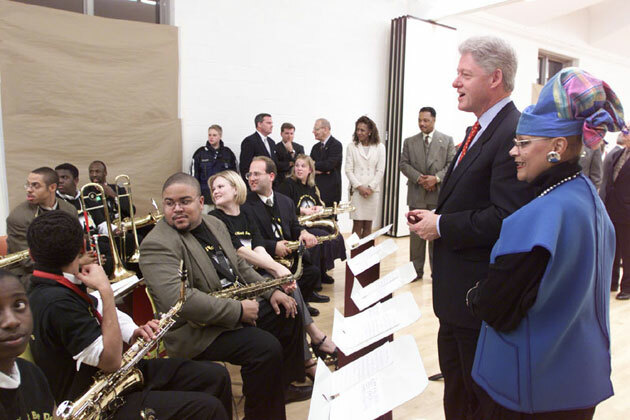 Dolly McLean, founder and director of the Artists' Collective, gives the President a tour and introduces him to musicians before their performance. 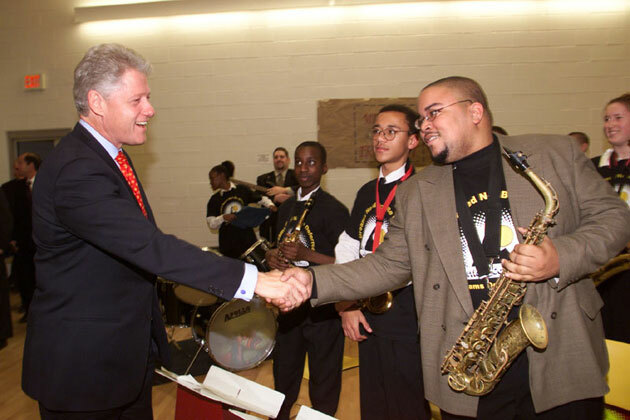 The President greets a fellow saxophone player after a performance at the Artists' Collective. The President addresses the North End Community from the performance studio of the Artists' Collective.